You finally score a seat in Main Stacks during dead week. You settle in, crack open your massive textbook, plug in your laptop, log into AirBears and then … crunch crunch crunch. Chomp. Riiiiiiiiiip. The person across from you is chowing down on who knows what — and everyone at the table is glaring. 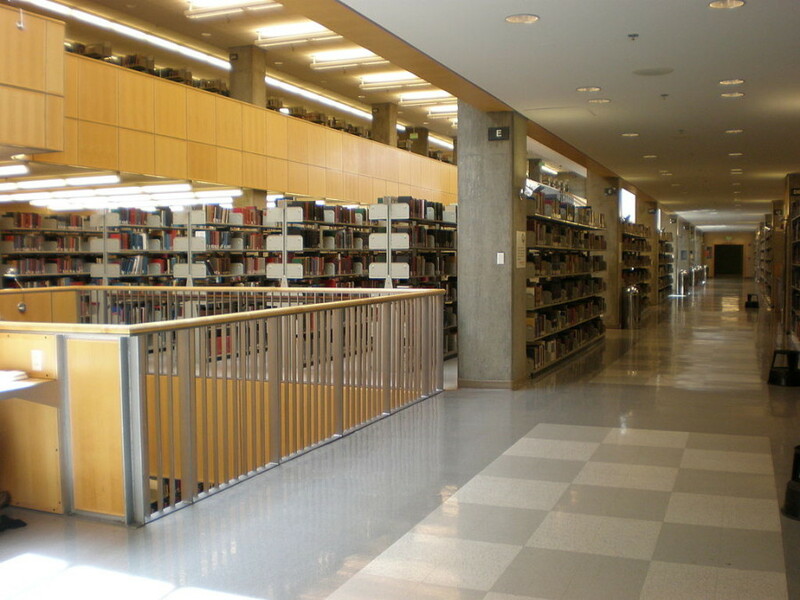 We all know that in a silent library, food takes on levels of sound, smell and messiness we never knew were possible. Who knew an apple could be that loud, a muffin could crumble that much? If you’re the type to heed those “No Food” signs, we applaud you. But because you have to eat at some point, we’re here to weigh in on the worst and best foods to pick up on your way to the library from Southside. Don’t get caught eating, but more importantly, don’t be “that person” to your fellow study fiends. Two words: paper bag. Remember when SunChips introduced a biodegradable bag louder than a gas lawn mower? Yeah, the noise of the Chipotle bag is on that level when you’re sitting in the silence of Main Stacks. The reason we all descended into the depths of the stark Main Stacks dungeon was so we could actually concentrate on what we’re studying. And you’re keeping us from doing that with those enticing wafts of curry. You’d think salads would be relatively safe, but beware of croutons, carrots and other incognito crunchy items. And, to guarantee equal distribution of toppings among the greens, you’ll probably have the urge to shut the plastic container and shake it. Just don’t. Also, the cornbread: You’ll be finding crumbly bits in the bottom of your backpack, in your notebooks and in the nooks of your computer well into spring semester. And so will the person sitting next to you. This is along the same lines as the whole chicken tikka masala deal (see above). The original plan we had was to stay in the library and get some work done until 8 p.m. But now it’s 4 a.m. And then there’s that strange slurping noise when the cheese is too hot and you’re trying not to drop all of the toppings on your MacBook Air. Don’t lie to yourself; you know exactly what we mean. Soft and discreet, donuts provide a source of comfort food, and they remain intact when you take a bite (bonus: The smell isn’t far-reaching). We recommend the ones sans sprinkles to avoid a case of the cornbreads. Also, they provide that extra sugar kick you need to get through that last paper. This is a stellar option if you manage to find a seat at 4 p.m. and plan on staying there until 4 a.m. You can prove you don’t have to sacrifice your square meals to your endless studying. So you can have your sushi and eat it too. 3. Tomato Soup, Soup Co.
Soup Co. hack: Order a large, pour it into a thermos, seal it up tight and you’ve got an easy, warm, mess-free option. We recommend tomato soup for easy sipping (make sure to bring a spoon if you’re set on chicken tortilla). Try soft fruits and vegetables if you have a case of the munchies that liquid soup just won’t satisfy. Our favorites pass the noise, messiness and smell tests: Try bananas, grapes, berries, sliced cucumbers, snack-pack peaches or applesauce.